Here’s the most unique meat smoker. It’s the Country Smoker from TSM. 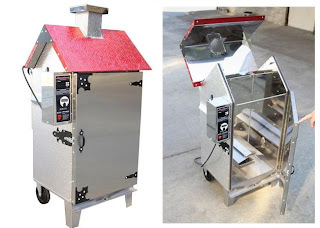 Many folks have asked us about our products for meat processing, pricing and availability etc. There’s nothing like a slowed economy, and a tight wallet, to encourage us to shop for the best deals for taking care of your organic meats, grass fed beef, buffalo, moose, deer, etc. You can find many of these in your Natural Food Stores. Now, even Costco is selling organic meats! Most stores are starting to think seriously about what the American consumer is purchasing these days. And then of course hunting season is almost here and you probably will want to be ready with many of these same products. You can save money and taking good care of yourself and your family by processing and packaging your own bounty! So, we have put almost all of our meat processing equipment on sale! And working on even more! We are hoping to keep these sales going for awhile, as long as the manufacturers don’t raise prices again. And on the heavy items, we only have the sale price listed… we will give you the shipping quote separate from the sale, and also give you an accurate shipping quote right to your front door. There are all kinds of sales tricks… online stores are all fighting for your business. Don’t be fooled though… sometimes free shipping is figured into the product price and it’s large enough to cover a wide range of shipping destinations. So we’ve decided to just give you a quote to your door! We hope that will make you happy… the best price on the product and the best shipping price to YOUR door! If you ever feel any of our shipping charges seem too high…just give us a call and we will check. 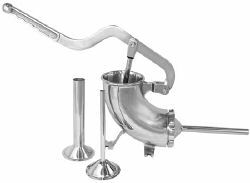 We also have Meat Mixers from three manufacturers available and on sale… from Weston, LEM, and TSM. 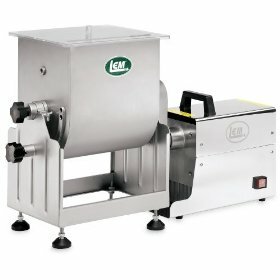 There are small ones from 20lb to 50 lbs, and then there is the LEM 25 LB Stainless Steel Tilting Meat Mixers. Talk about making a job much easier by having the tub tilt away from the frame and actually remove it for cleaning! And with this big puppy you can attach it to an LEM Commercial Grinder (sold separately) and have an electric meat grinder. What can be better? Ever try sausage making? Try it with this Sausage Stuffer from Weston… pack up to 5 lbs of meat using this all Stainless Steel Sausage stuffer with Stainless Steel Stuffing Funnels!! We will be working more on our webstore… getting more of these products available to you at sale pricing… like Grinders, and Meat Tenderizers, and Jerky makers, etc. As always, we haven’t learned to read minds yet… so we depend upon feedback from you… our customers. Tell us what you think, what you want, inquire about products you don’t see, etc. We are always happy to answer your phone calls and emails! We at www.homesteadersupply.com are here to make your shopping experience a pleasure, and you will want to come back time and time again for your product needs! This entry was posted in Preparedness on June 9, 2013 by Homesteader's Supply. … that’s our theme with the store, for which we spend a lot of time on. Quality these days is hard to come by. As you probably already know, most products come from other countries, and many are poorly made. Then there is the cost issue…where so many companies are selling the same products, everyone lowering the price to beat out the next guy just to make a buck…. Don’t know what the answer is for the general issue, but for Homesteader’s Supply we check out as many products as we can, and then ask our customers for feedback. As always, if you feel our price is too high or even the shipping is to high… give us a call and we’ll see what we can do for you! 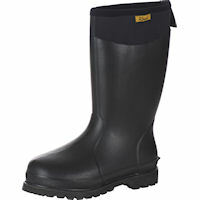 Boots for the farm, garden, ranch, etc… We now carry a new brand called Reed Boots. They are exactly like the Bogs boots we use to carry. We use them here at Homesteaders Supply, and LOVE them! The reason why we chose to change to Reed is that they are more readily available for immediate shipping, better prices, and they are just as well made as the other brand. And in fact, they have one improvement we have not seen in other boots… a removable ventilated insole with built-in arch! They are 100% waterproof! 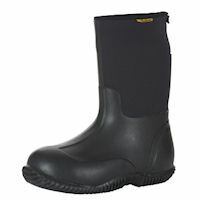 Very comfortable, provide warmth in winter and keep your feet dry in the summer! It has reinforced toe and heel areas. 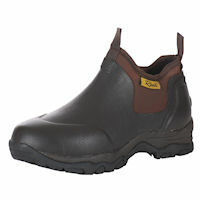 Self cleaning rubber outsole. Personally, I like the comfort, almost like being in slippers, but yet great traction here in Arizona summer monsoons where the farm is slick as ….. I’ll let you fill in the blank! You can see all of our boots in the Barn Yard Section. We would love to consider other quality products you know about and would love to see us carry. Just let us know! This entry was posted in New Products on June 3, 2013 by Homesteader's Supply.